Today ends this column, at least in weekly form, which for the 15 weeks past has detailed a series of missteps, blind alleys, redirections, redactions, and lessons never learned. Ok, I know, many of the writers in this space and its readers have intimated lessons, although this was never my intent. To paraphrase the call for the column, this investigation of failure is not mean to add to the narrative of redemption constructed from hindsight, which in all is bespectacled glory reifies traditional notions of Authorship (the development over time, the mastery of headspace). No, the idea here could be that failure can be valuable (or useless) in an of itself–as an articulation of the limits of writing, or our ambitions, of our egos. Thus, while you may take a warm glow from all of this, don’t overlook the dark pall. On that note, we let Wendy Walker, one of my favorite writers in the tradition of constraint, feel the stage crook pulling her prose from the stage. In the years following 9/11 I found myself feeling an urgent need to grapple with the issue of war. I chose as my subject the quintessential war of story, the Trojan War. It had key female figures, both mortal and immortal. The work would be a novel centered on three points of view, those of Helen and Paris, the conflict’s relatively clueless catalysts, and that of Athena, who plans and orchestrates the destruction in order to test a number of her new inventions. I would call the novel The City Under the Bed. The first chapter, which I wrote with pleasure, ends with Helen hiding under her and Paris’ bed, in a panic, as the battle between her two husbands begins. There, in a desperate effort to find some place free from war, she creates another world. She cuts off her hair and lays it along a long crack in the floor, forming a river with two islands in it. In trying to save her lover from death, she makes a city under the bed. End Chapter One. Chapter Two opens some three thousand years later in that city. This was where my problems began. I became wholly engrossed in the structure of the book, which would alternate between the Iliad’s Troy and 19th century Paris, the latter being an unknowing shadow or memory of the former. The libidinal charge I found in the characters borrowed from Homer did not migrate to the characters of the Parisian world, but rather to the structure of ideas, which grew more and more complicated and expanded into voluminous notes. I gave my plot too many tasks, too many subtextual dots to connect, at least in the planning stage, and my characters felt it. In Chapter One I wrote from a ground of glowing figures and language; in Chapter Two that ground had shifted, so that I stood upon a tremendously complex structure of ideas that required translation into narrative. I struggled for over a year with this contrast and probably would have gone on struggling, had not everyday life intervened. A close family member fell ill, and my help was required. Through the ensuing illness, death, and its aftermath, I perforce put the novel aside. When I was able to return to it, I couldn’t find my way back in. Letting go of all the threads of that juncture had been fatal. The recent death had so sufficiently reoriented my psyche that I could not again situate myself inside the writer of that book I had been before. At length I abandoned The City Under the Bed to a fragmentary existence. Even had the family death not intervened, I suspect that I would have had to change the narrative strategy I had been pursuing. Possibly I might have given up on the book, but it is more likely that I would have found some other way to resolve the initial problems I had set up in Chapter One. Indeed I did come up with an alternative structure, but it was still the ideas I was in love with, not the process of writing. Chapter One of this “failure” was published in a confusingly formatted version here . Short excerpts from Chapter Two were printed in Open City and The Denver Quarterly. The rest of The City Under the Bed is a vision filled with wonderful set pieces, which I wish I could write, but probably never will. 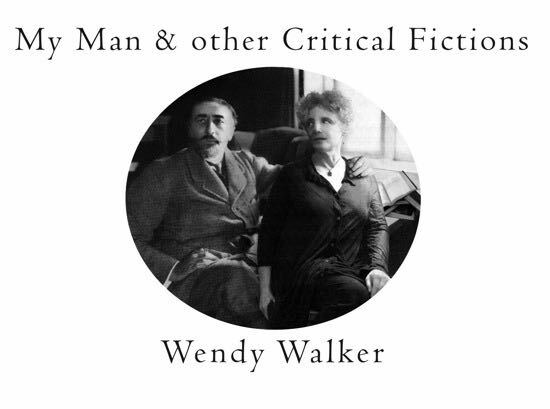 Wendy Walker is the author of seven books, most recently My Man and Other Critical Fictions (Temporary Culture, 2011). She is a core collaborator at Proteus Gowanus Interdisciplinary Gallery/Reading Room in Brooklyn where she edits Proteotypes and co-leads The Writhing Society, a weekly salon/class in constrained writing.